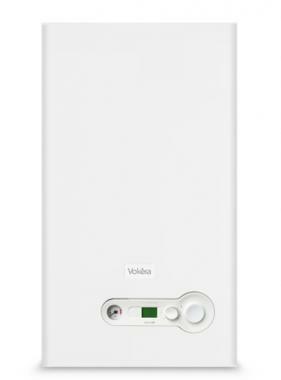 The Vision 25s is a system gas boiler by Vokera, it is a wall mounted condensing unit. With this model you can be sure you are getting a reliable boiler with it having an output of 25kW as well as having a high output of 89.1%, making it an B rated boiler. This boiler is an extremely compact product with the dimensions being 715mm (H) x 405mm (W) x 248mm (D), this means it can be hidden away, out of sight out of mind, and it can be fit neatly in a standard kitchen cupboard. This unit provides central heating but is able to provide domestic hot water when connected to a water cylinder. It’s a perfect boiler for properties with multiple bathrooms. There is a great deal of thought behind the design of this boiler, one example of this is an optional pipe helping to cover and provide a neat finish. One way you will know you’ve got a reliable boiler is with it being available with 5 or 7 years parts and labour warranty for that extra added comfort.